Abstract: In this Halloween (2016) episode Karin and Elizabeth discuss Michael Jackson’s 1997 short film, ‘Ghosts’. Going into amazing detail on the film-making, cinematography, acting, and many of the hidden social and political ideas which lurk beneath the surface. They also discuss the theme of transformation in Jackson’s work, including ‘Thriller’. Merx, Karin, and Elizabeth Amisu. 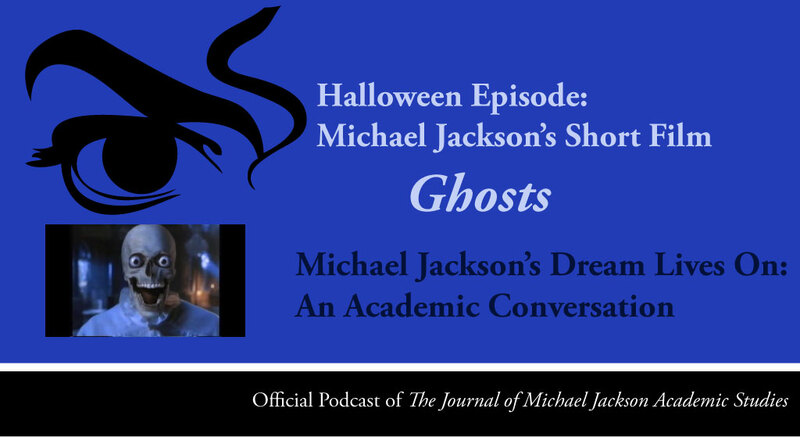 ‘Episode 18 – Halloween Special: ‘Ghosts” Podcast, Michael Jackson’s Dream Lives On: An Academic Conversation 3, no. 2 (2016). Published electronically 30/10/16. http://michaeljacksonstudies.org/halloween/. Michael Jackson was way ahead of his time… he uses transformation because he grew up and people didn’t want him to grow up. 1. The Michael Jackson’s Ghosts short film via YouTube. 2. The ‘Making of Michael Jackson’s Ghosts’ VH1. 3. Information about Tim Burton’s Edward Scissorhands (1990). 5. Elizabeth Amisu, The Dangerous Philosophies of Michael Jackson: His Music, His Persona, and His Artistic Afterlife (Praeger 2016). 6. Margo Jefferson, On Michael Jackson (Vintage, 2006). 10. Joseph Vogel, Featuring Michael Jackson: Collected Writings on the King of Pop, (BlakeVision Books, 2012). 11. 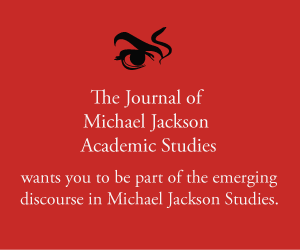 Elizabeth Amisu, ‘Throwing Stones To Hide Your Hands’: The Mortal Persona Of Michael Jackson‘, The Journal of Michael Jackson Academic Studies, 1, no. 1 (2014).